Use Microsoft Digital image Software to draw some lines. and that the margins are all still closed. side and see what this does to the restorations. and inject blue mousse here as well. lock the brushes together and you are set. 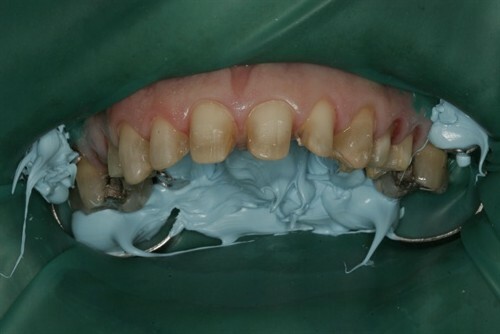 Dry angel over tongue and syringe some material over it. 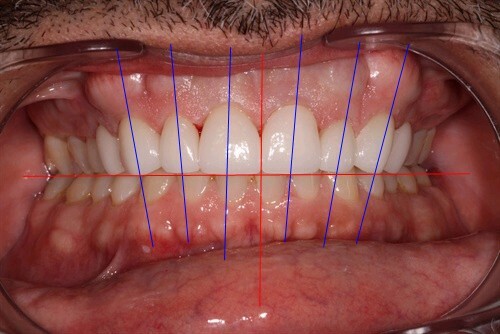 hand use the light to push at the gingival margin. “go”). This is a quick 1 second tac. off. 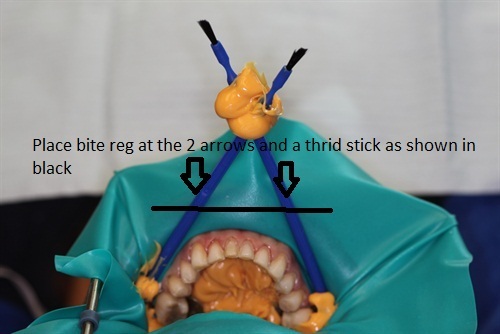 Floss to lingual in direction of seating veneer.